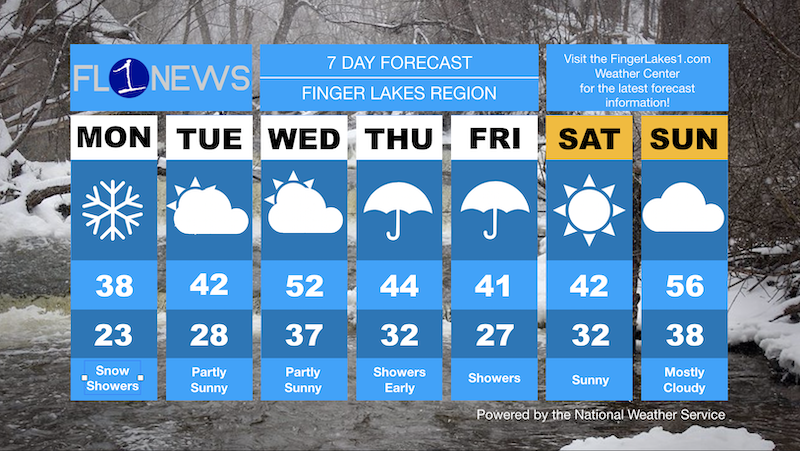 It’s going to be an interesting weather week – as the Finger Lakes gets a taste of several seasons wrapped into a span of just a few days. Expect snow showers today – at least for part of it. Forecasters with the National Weather Service say that some light, scattered snow showers will be possible during the day. However, it shouldn’t accumulate to much; and it shouldn’t cause any delays or challenges on area roads. Things start to shift after we get by the first day of the week. Temperatures are expected to climb through Wednesday, before subsiding some through the end of the week. Things will again start to warm up during the second half of the weekend. But at this point, no major weather events are expected. 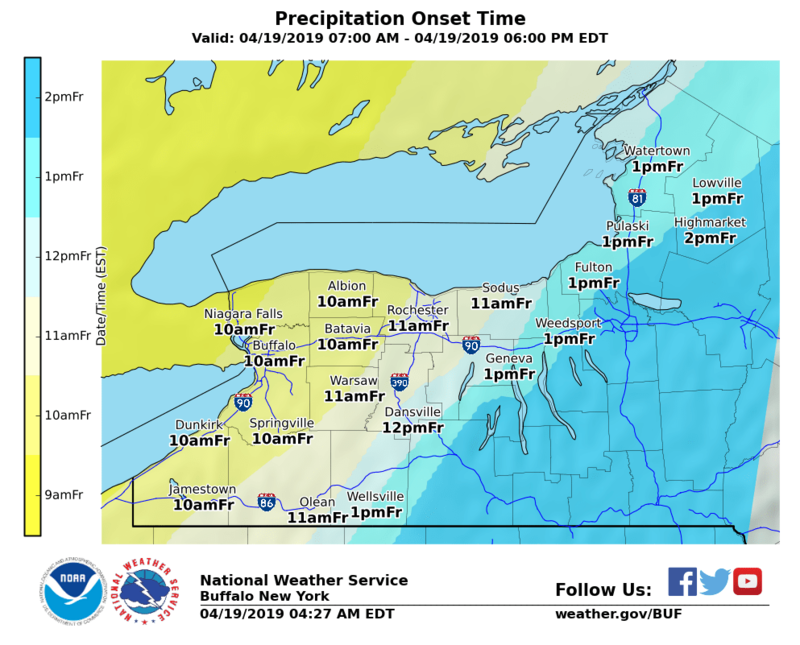 Visit the FingerLakes1.com Weather Center for more information, and the latest forecast information from the National Weather Service.